This 2018 year, Chrysler has reinvented their Chrysler Pacifica. 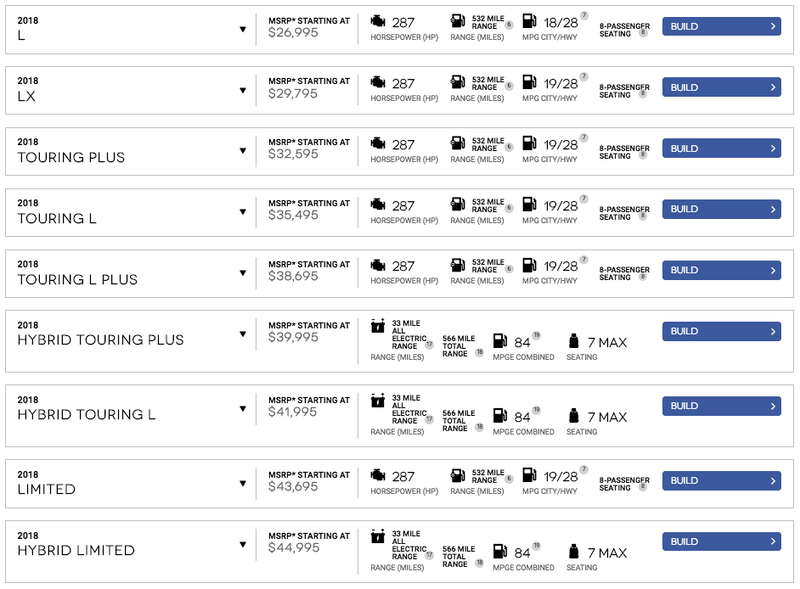 Chrysler has also introduced a new model trim level, ‘Chrysler Pacifica S’. This is a really exciting year coming up for Chrysler and you can expect that their all new 2018 Chrysler Pacifica will be all the hype. Right out of the gate, the all new 2018 Chrysler Pacifica Limited features some unique luxury items. Though the Chrysler Pacifica Limited is on the higher end of models, we can assure you that Chrysler has several different Chrysler Pacifica models that are sure to accommodate any individual in the market for a new vehicle. MSRP for the 2018 Chrysler Pacifica ranges anywhere from $26,995 for their base 2018 Chrysler Pacifica L, on-up-to, the 2018 Chrysler Pacifica Hybrid Limited with a base MSRP of $44,995. Now we can all agree that the Chrysler Pacifica is more of a family vehicle, right? With that in mind, Chrysler has designed the 2018 Chrysler Pacifica with a very Safety First frame of mind. That said, we certainly agree with their mindset. When you’re out on the open road, nothing is more important than your family’s safety and security. That’s why every Chrysler Pacifica comes with standard SafetyTec featuring Blind Spot Monitoring, Rear Cross Path Detection, ParkSense Rear Park Assist with Stop and more. Oh, and don’t forget, the Chrysler Pacifica is the only minivan to be named a 2017 IIHS Top Safety Pick+ with optional front crash prevention and specific headlights; applies only to vehicles built after August 2016. No other minivan earned this honor. As for the technology side of things, Chrysler Pacifica is still leading the way amongst the auto industry with their cutting edge technology and first class entertainment. The available Uconnect Theater features dual 10.1-inch HD touchscreens with a Blu-ray player, wireless streaming functionality, dual HDMI inputs, wireless three-channel headphones, Bluetooth remotes, downloadable games and apps. 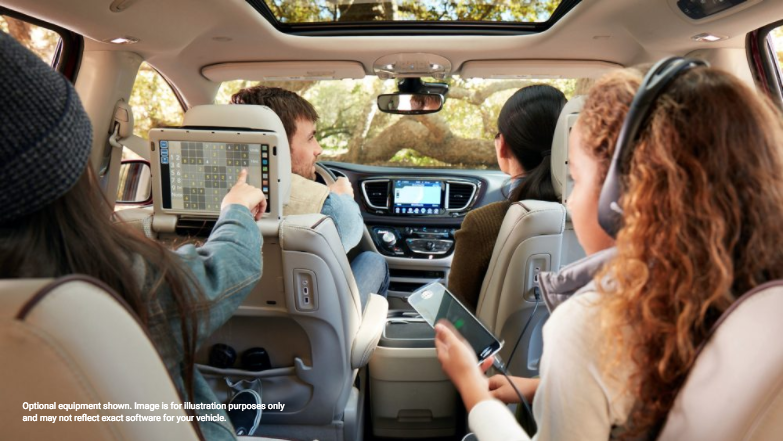 It’s no surprise that the Chrysler Pacifica offers the best family entertainment system in its class. All-in-all, the 2018 Chrysler Pacifica boasts the same great features that their customers have come to know & love over the years. Their elegant interior and exterior design combined with their reliable performance metrics has made this minivan the ultimate family vehicle. Don’t forget the kids. Kids have a natural love of the outdoors, from colorful skies to cartoon-shaped clouds. 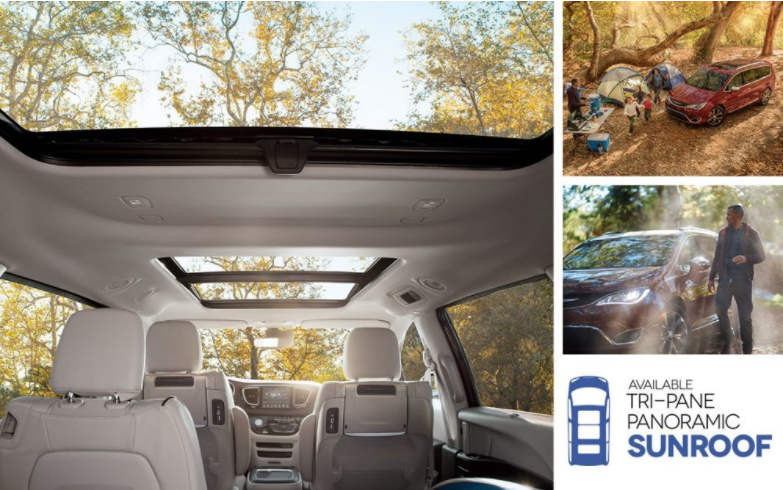 keep them connected to nature with an available tri-pane power sunroof that lets the outside in on the 2018 Chrysler Pacifica. So weather you’re planning a family camping trip, taking the kids to that early Saturday morning soccer game or simply need time to yourself, the all new 2018 Chrysler Pacifica possesses a zen like atmosphere while offering a wide variety of family activities. This new year, drive with style without sacrificing all of you favorite technologies, when you purchase your new 2018 Chrysler Pacifica. To capture more information on the 2018 Chrysler Pacifica, contact one of our product specialists today. For immediate inquiries, call us today at: 574.533.8605. Also, feel free to check out all of our Chrysler Pacifica options, as well as, all of our vehicle specials. For more information on any of our Chrysler, Jeep, Dodge, or Ram products, check out any of our previous blogs located here. Sorg Dodge is proud to provide you with as many resources and tools as possible. We would be happy to help you ultimately find a vehicle that fits your needs. Contact us today for more information.